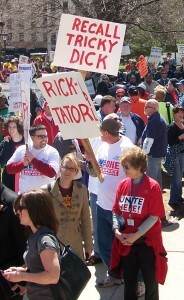 Members of Michigan Citizens United, a Political Action Committee formed out of concern for Governor Snyder’s dictatorial approach to addressing budget woes in Michigan, will submit a petition for the recall of Governor Rick Snyder to the Washtenaw County Clerk on Patriots’ Day, Monday, April 18, 2011 at 10:30 a.m. The petition will be reviewed by the Washtenaw County Election Commission for the clarity of the language. Once approved, the committee plans to begin gathering signatures on May 8, 2011. The Emergency Financial Manager Bill (officially known as the Local Government And School District Fiscal Accountability Act, Act 4 of 2011), which was signed into law by Governor Snyder on March 16, 2011. New provisions give the governor sweeping and unilateral authority to declare a “financial emergency” in towns or school districts and appoint an emergency financial manager (EFM). The EFM is given broad new powers to nullify contracts; dismiss elected and appointed officials, committees, boards, and authorities; eliminate or redistrict entire cities or schools; take and sell public and private land; hire private security forces; and eliminate services. The Proposed 2011-12 budget which gives a $1.8 billion dollar tax break to corporations and raises taxes by up $1.7 billion on retired people and working poor, without addressing the budget deficit. It takes money from the K-12 educational fund and reduces per-pupil funding levels to local districts; reduces funding to universities and colleges. It reduces essential services for the sick, the poor, and the elderly, and slashes funding for local governments. The cuts to local governments and schools, in turn, threaten the financial solvency of those entities, making more of them targets for hostile takeover by the state. While Governor Snyder talks about shared sacrifice, it appears the sacrifice is shared by the lower 98% of income-earning citizens of Michigan, while the upper 2% and corporations reap new benefits. 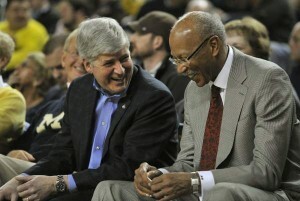 The 1.1 million signatures the group plans to gather will be submitted to the Michigan Department of State on or before the August 5, 2011 deadline to appear on the November ballot. Recall information is available at www.firericksnyder.org or on Facebook search for “Recall Governor Rick Snyder” – it is also available on twitter at http://www.twitter.com/firericksnyder . 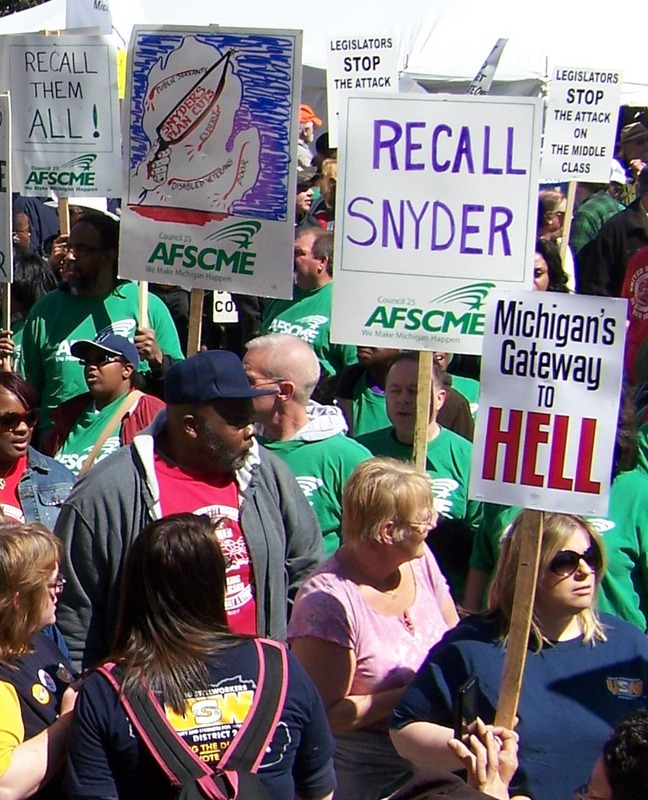 where should one pick up petitions to get signatures to recall rick snyder? I would be happy to help! There is a link in the story to the recall campaign coordinators, click on that for more info. I WISH I could sign your petition. But please know, as someone from CA following this story as much as possible, via the web mostly (funny, lame stream media is not making this news), I strongly support your cause and I wish you much success on your endeavors.